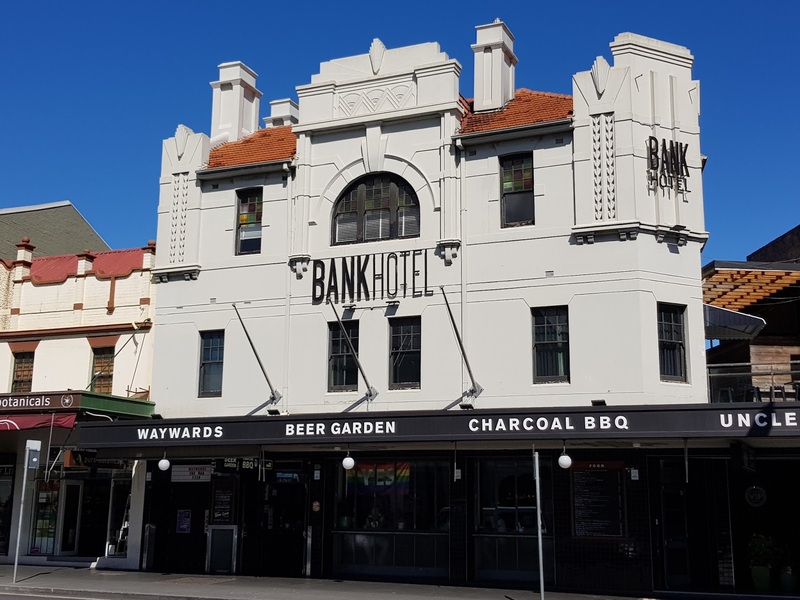 The Bank Hotel is located along King Street, in the inner west suburb of Newtown. This heritage listed pub was originally built in the Victorian architectural style but was altered in the Federation era and then again when its facade was rebuilt in 1934 in the Art Deco architectural style. It has previously also been known as the Masonic Hotel and the Masonic Hall Hotel. Hello, I like the art deco style. Very nice! Enjoy your day and new week! Great shot and fascinating history. It would be interesting to old photos of the other versions. I can see Art Deco in the columns. Changed style three times, that's a lot for a building to go through, it sure looks good today. Art Deco style is pretty interesting. I am starting to like that style. Who knew that this substantial pub includes a beer garden and an outdoor terrace. Perfect for summer. It certainly is a great place to hang out.